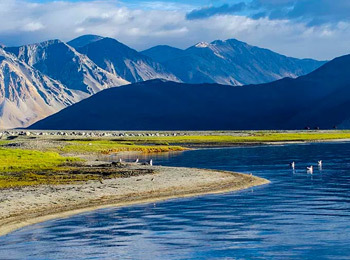 Among the many things that Ladakh is famous for, one are its monasteries. 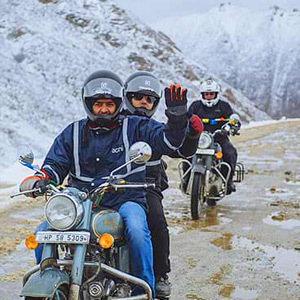 If you have been to Ladakh, you know what I’m talking about. Those lovely structures perched on outcrops, giving an air of timelessness. 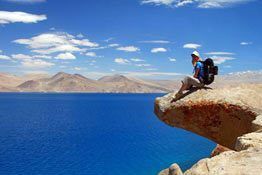 If you haven’t been to Ladakh, then it’s worth knowing that the monasteries in Ladakh are fascinating places to visit. One of such monasteries is Thiksey Monastery, located at an altitude of almost 3,600m in the Thiksey village. 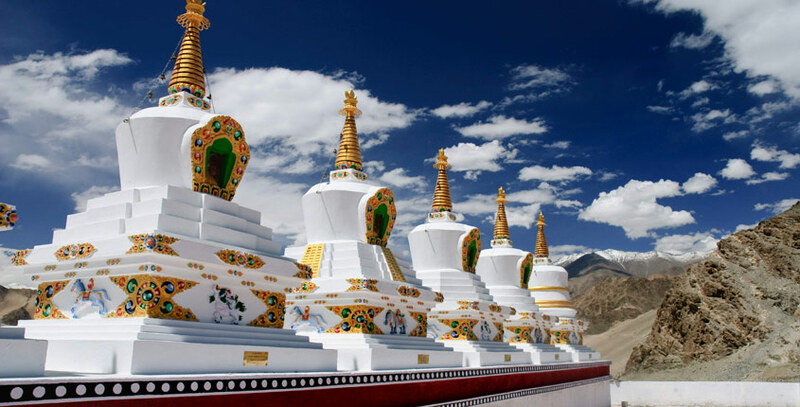 It’s one of the largest and most famous monasteries in Ladakh. The Thiksey monastery, painted in red, ochre and white, blends in well with the surrounding landscape. On first sight, you will be surprised with the strong resemblance it bears to Potala Palace in Lhasa in Tibet. Visiting the monastery, which houses several attractions within it, can be a rewarding experience. It offers excellent opportunities for sightseeing and exploration. 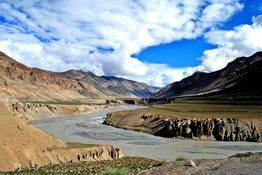 If you have been planning a trip to Ladakh, then this Thiksey monastery travel guide will tell you all that you need to know about the monastery. 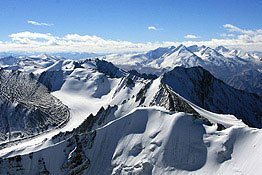 You may have often wondered about the history of Thiksey Monastery and why is it called so? According to the popular tale, Jangsem Sherab Zangpo (a 15th century Tibetan Buddhist monk), along with his disciple, Palden Sherab, were offering prayers with a ritual cake at a spot which was located about 3km from where the Thiksey Monastery today stands. Out of nowhere, to their surprise, a crow grabbed the cake and flew away with it. After searching for the cake for some time, they found the ritual cake placed at the top of the hillock, in exactly the same condition as before. The Buddhists believed this to be an auspicious sign, and decided to build a monastery at that very spot. The name of the monastery, Thiksey, which means “perfect order”, is derived from the perfect order in which the crow placed the cake. Visiting the Thiksey Monastery will leave you with wonderful memories. Apart from the opportunities for exploration and sightseeing, the Thiksey Monastery is a great place for learning about the several facets of Buddhism. The monastery is home to ten temples in all, besides home for monks, nunnery, assembly hall etc. At the entrance, you are greeted by the statue of the protector deity. 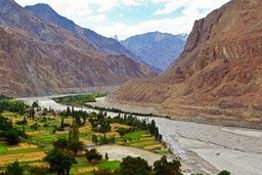 From here, you can enjoy spectacular views of the Indus Valley floodplains below. One of the main attractions inside the Thiksey Monastery is the Maitreya Buddha. The statue is almost two stories tall and is a splendid piece of architecture. The other attractions which will interest you immensely are the two temples, Tara Temple and Lamokhang Temple. Tara Temple is a small temple dedicated to the goddess and houses 21 images of this deity. The walls of this temple are adorned with exquisite marvels and are a visual treat to the eyes. Lamokhang Temple is another place which fascinates tourists. Its home to several scriptures, including Stangyur and Kangyur. It’s important to note that women are not allowed to enter this temple. Inside the temple, there is a school where young boys undergo training to become lamas. Another attraction is the large pillar which has Lord Buddha’s images engraved on it. A nunnery is also located inside the Thiksey Gompa. On your visit to the Thiksey Monastery, you should not miss a chance to attend the Gustor Festival. This is an annual festival held in the monastery from the 17th to the 19th day of the ninth month of the Tibetan calendar (October-November). As a tourist, you will find the various rituals of the festival extremely interesting and delightful. One of them is the mask dance, popularly known as the Cham Dance, which is an essential part of this ritual. Other traditional Tibetan musical instruments also accompany the dance. Performers wearing masks delight the audiences with their gracious dance moves. It should be remembered that this choreographed dance is performed only by lamas. The festival ends by burning an effigy which symbolizes evil. This interesting dance is accompanied by musical instruments like cymbals, old horns, bells, conch shells and others. You can visit the Thiksey Monastery from 7am to 7pm throughout the week. The best months for visiting the monastery are October and November. After November, however, the place will remain closed and reopen only in May. Try visiting the monastery during early morning. Doing so will allow you to enjoy the unique rituals of the monastery. A lot of tourists visit the monastery in the morning time to be the witness of morning prayers at Thiksay Monastery. The entry fee at Thiksey Monastery is Rs. 20 for both locals and foreigners. There is no additional fee for carrying a camera. Thiksey Monastery remains open from 7 am to 7 pm all days of the week. However, if you want to participate in the morning prayers, you should visit the monastery early morning.